I have tracked down the brochure for next season for the combined Opera and Philharmonic. We have a lot more details. August 11, 1:30, the Opera and Philharmonic will combine at Fairy Tale Town in William Land Park for the "Cat and Fiddle Music Festival." Prokofiev's Peter and the Wolf is one of the numbers in this family oriented concert. Oct 19, 2:00 and 8:00, Community Center Theater, "Here to stay: the Gershwin Experience" concert with Sylvia McNair, conducted by Michael Morgan. Nov 22, 8:00, Crest Theater, International Stars of Opera Recital, Ruth Ann Swenson, soprano, Frank Lopardo, tenor, Mark Robson, piano. This is what was meant by Una Sorpreso Lirico! 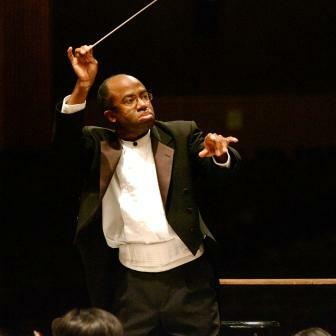 January 11, 8:00, Community Center Theater, Michael Morgan conducts Brahms Variations on a Theme by Haydn, Stravinsky Firebird Suite and Daniel Bernard Roumain Woodbox Concerto. Here's a short film of DBR playing an electric violin. Feb 28, 8:00, and March 2, 2:00, CCT, Verdi's Il Trovatore. Michael Morgan will conduct. Leonora, Lisa Daltirus; Azucena, Tichina Vaughn; Manrico, Arnold Rawls; Count Di Luna, Marcus Jupither. March 14, 8:00, The Assembly (1000 K st.), Violinist Rachel Barton Pine and cellist Mike Block will discuss the evolution of music from Bartok to Metalica. This is a bold undertaking. April 5, 8:00, CCT, concert featureing Dvorak, Glazunov and John Williams. Michael Morgan conducts and Rachel Barton Pine plays the Glazunov violin concerto. June 21, 1:00 and 3:00; June 22 1:00 at Crocker Art Museum, Family opera to coincide with a Crocker exhibition. Robert Xavier Rodriquez is the composer and the words "mariachi music" appear in the text. I think this is just for fun. I feel this represents a different perspective.